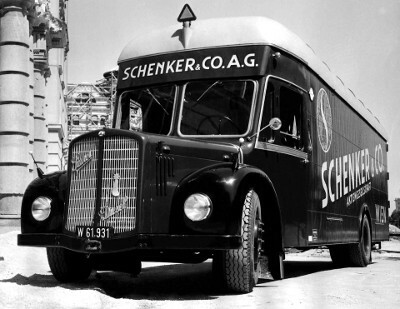 From the railroad and Gottfried Schenker to the global, leading logistics provider we are today, the success story of Schenker logistics experts dates back to the 19th century. DB AG laid the foundation for a world-renowned combination of logistics leaders — Stinnes AG and Schenker — in 2002, giving both Deutsche Bahn and Schenker a rich history. As we reflect on our past, we look forward to continue to blaze ahead into the future as an innovator in the logistics industry. Gottfried Schenker founds Schenker & Co. in Vienna, Austria. First consolidated rail consignment from Paris, France, to Vienna, Austria. Branch offices established in Budapest, Hungary, Bucharest, Romania and Prague, Czech Republic. Acquired a stake in the steam navigation company Adria Dampfschiffahrts-Gesellschaft. Gottfried Schenker passes away in Vienna and is succeeded by his adoptive son Dr. August Schenker-Angerer. 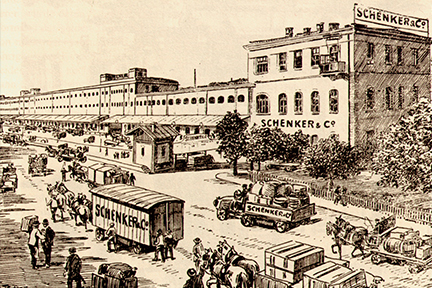 After WW I, Schenker focuses on express delivery services, regional freight forwarding, removals and trade-fair services. First air freight shipments in Germany. The German export industry goes on an international exhibition tour organized by Schenker. Schenker is acquired by the German Railways. 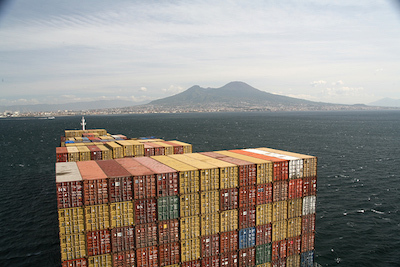 First sea freight container shipments. Rebuilding process begins following disappropriation and the loss of numerous bases in WW II. Subsidiary established in the U.S. internationalization and air freight are pursued on a large scale. 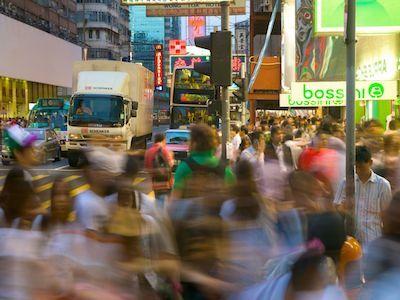 Dedicated company founded in Hong Kong to oversee Asian market. Dedicated office founded in Taiwan to oversee Taiwan market. 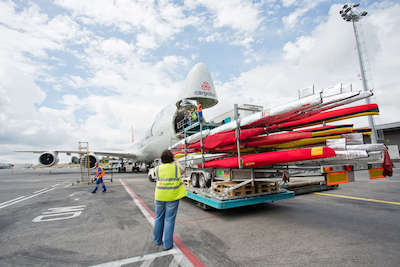 Schenker becomes the official freight forwarder for Munich Olympics. Coinage of JETcargo, SEAcargo and Eurocargo as trade marks for bulk transportation by air, sea, rail and road. Company decides to introduce SWORD (Schenker's Worldwide Online Realtime Data Network) and EDIFACTstandards. Stinnes AG acquires a majority stake in Schenker from the German railroad company Deutsche Bundesbahn and divides the business into Schenker International (air and sea freight) and Schenker Eurocargo (European land transport). Stinnes air and sea freight, land transport, handling/logistics and seaport activities are grouped under the umbrella of Schenker-Rhenus AG. 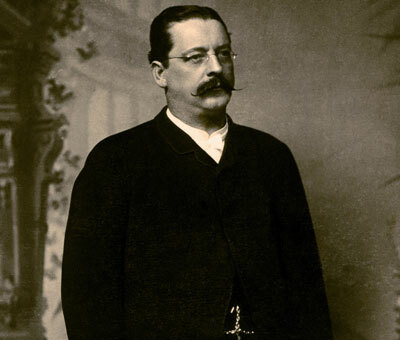 Schenker looks back on 125 years of history. Schenker AG repositions itself by divesting the bulk cargo business and forming three new business areas: Schenker Logistics, Schenker International and Schenker Eurocargo. The shareholding in the Swedish company BTL-AB, Gothenburg, gives birth to Europe's leading transportation and logistics provider. Co-ordination of land transport operations in Europe at Schenker and BTL under the Schenker-BTL name. Schenker Australia appointed Official Freight Forwarder of the Sydney 2000 Olympic Games. Strategic alliance between Schenker and Seino. Opening of the Integrated Logistics Center Rotterdam. Schenker, Inc. named for the Salt Lake City 2002 Olympic Winter Games. 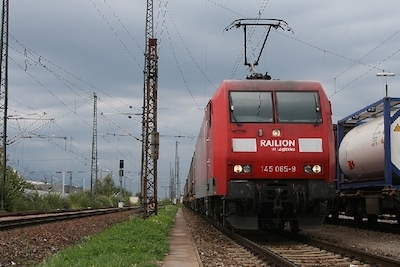 Schenker and Deutsche Bahn establish Railog joint venture for rail related logistics services. Merger of Schenker-BTL (Deutschland) AG and Schenker International Deutschland GmbH to form Schenker Deutschland AG. Schenker celebrates its 130th birthday. Schenker and Seino merge their international and logistics activities in Japan into Schenker-Seino Ltd. The Integrated Logistics Centre Narita, Tokyo is opened. Deutsche Bahn takes over majority of Stinnes. Official Supplier to the IOC for freight forwarding and customs clearance services for the Olympic Games (Athens 2004, Turin 2006, Beijing 2008). Integration of Schenker and Joyau in France. 'A-Class' license for new subsidiary in the growth market China. Schenker logistics center for consumer goods in Willebroek, Belgium, starts operations. Strengthening of the network in Russia and of the market position in Norway with Linjegods. New structure at DB Logistics. New Logistics Hub North Asia in Korea. Opening first multimodal logistics center in Finland. DB Schenker opens its new air-freight center, the largest hub of its kind in the company’s network, at Frankfurt International Airport. In the US, BAX Global is integrated into DB Schenker’s national company. With the acquisition of S.C. Romtrans S.A., DB Schenker now has a dense network throughout Romania and becomes one of the leading national service providers. DB Schenker launches the “DB Eco Program,” an initiative designed to reduce carbon emissions. DB Schenker opens a new logistics center in Pardubice, Czech Republic, and at Gothenburg Landvetter Airport in Sweden. The national company in Spain enters the market, operating under the brand name of DB Schenker Spain-Tir. DB Schenker celebrates the 50th anniversary of its operations in Argentina and its 40th anniversary in Singapore. Company founder Gottfried Schenker is posthumously included in the “Logistics Hall of Fame” for his contributions to the development of logistics. DB Schenker opens a new terminal in Salzburg at a cost of EUR 26 million to serve as a hub for goods shipped throughout Europe. A40 autobahn that runs through the Ruhr region of Germany, and removing them again after the event. With DB SCHENKERhangartner, DB Schenker offers a product designed specifically for an economical combination of road and rail in European land transport. DB Schenker is involved in the Winter Olympic Games and Paralympics in Vancouver, Canada, as an official service provider. In Leipzig, DB Schenker builds a new logistics center to supply automotive plants in China and South Africa. DB Schenker is involved in the FIFA Women’s World Cup 2011™ as the official logistics service provider. DB Schenker celebrates its 140th anniversary. DB Schenker ships 100 containers loaded with high-tech equipment for the Eurovision Song Contest 2012 safely to Baku, Azerbaijan and back again. DB SCHENKERsportsevents takes care of the equipment for the stadiums and the media at the venues in Poland and Ukraine. 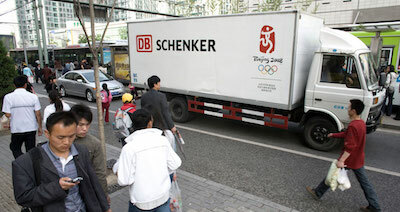 As official co-partner of the German Olympic Team London 2012, DB Schenker supports the smooth course of the Olympic and Paralympic Games in London 2012. DB Schenker has been located in Hamburg for 125 years. DB Schenker is exclusive Logistics partner of the German House in Sochi 2014. DB Schenker is a Partner of MERCEDES AMG PETRONAS and is responsible for the European logistics for the Formular 1 Team. 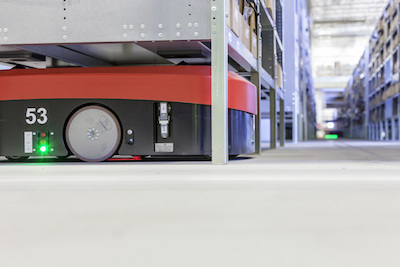 DB Schenker continues to strengthen its e-commerce logistics sector with Carry Pick, a system of robotics and automated packaging. DB Schenker opens its most advanced and largest terminal in Viinikkala, Finland. 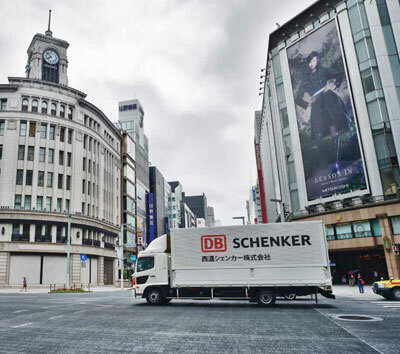 As the "Official Co-Partner of the German Olympics", as well as the exclusive logistics partner for the German House, DB Schenker is involved in the Olympic and Paralympic Games in Rio de Janeiro. DB Schenker has invested in the digital future by signing a long-term partnership agreement with global marketplace uShip. 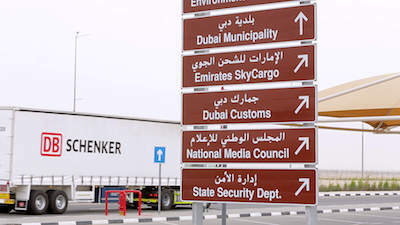 In Dubai, DB Schenker opens its first logistics center in the Middle East.